When someone mentions Massachusetts to you, what’s the first thing that comes to mind? Boston? Cape Cod? 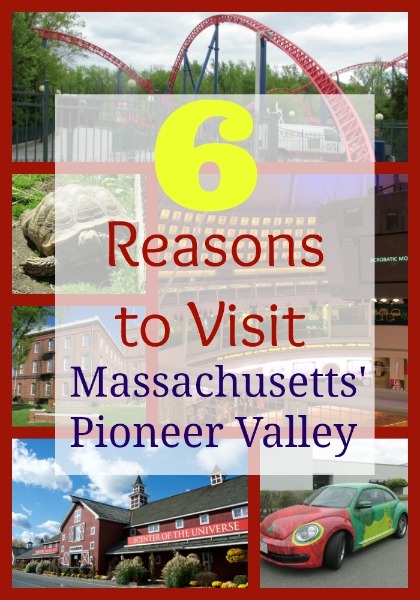 Those places are both great, but there is a lot of fun located in the Pioneer Valley of Western Massachusetts, too. There are so many fun-filled attractions in the western part of the state and they are definitely worth checking out if you’re looking for some family fun this summer. Did you know that Six Flags New England is the Coaster Capital of New England? Six Flags New England is home to the New England SkyScreamer, Flashback, Pandemonium, Mind Eraser, Batman the Dark Knight, Goliath, Wicked Cyclone and the brand new Fireball, which just opened this year. Six Flag New England also relaunched the BIZARRO coaster this season. It’s now SUPERMAN™ the Ride. Oktoberfest, the yearly German fall festival that draws in more than six million people, celebrates everyone’s favorite things: food, beer, and merrymaking. Although the official Oktoberfest celebration takes place in Munich, Bavaria, there are Oktoberfest celebrations held all over the world. Foxwoods® Resort Casino, the Northeast’s premier resort destination, is joining the party with month-long food and beverage offerings through October 31st. Disclosure: I was invited to attend a wonderful Oktoberfest themed press event at Foxwoods® Resort Casino, but as always, all opinions expressed here are strictly my own and were not influenced in any way. Approximately a dozen bloggers and their plus ones met at Cedars Lounge, where we all started our evening with Oktoberfest beer tasting and social. When was the last time you went camping with your family? If you haven’t gone in a while – or you’ve never gone, this summer may be the best opportunity to go! 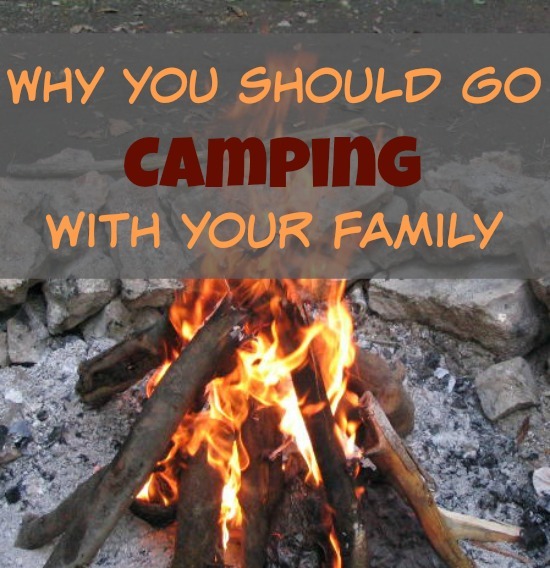 I recently enjoyed my very first camping experience and I wanted to share some of the reasons why I think you should go camping with your family. After all, you only live once, so making memories with the people you love is what it’s all about! Since I had never been camping before, I wasn’t sure what to expect, but after my first time last weekend – I am now a firm believer that camping is good for the soul. As a novice when it came to camping, the lovely park model cabin that we got to stay in couldn’t have been a better way for us beginners to camp for the first time. And guess what? These park models are actually recreational vehicles (RV’s), which are built on wheels so that even though they are intended to stay in one place, they’re portable. If you are new to camping, these are a great way for families to get try camping for the first time. I bet once you try it, you’ll be as hooked as we are now. For years I’ve wanted to try my hand at snowboarding. I can ski, although I haven’t done so in a number of years, but for whatever reason, I had never given snowboarding a try – until last week. I was invited to spend the day at Wachusett Mountain Resort in Princeton, MA. I had the option to ski or snowboard, but I knew right away that this was my chance to have a go with the snowboard, so I jumped on it. Plus, I was going solo, so my husband wasn’t going to be standing there laughing at me, which was an added bonus. Fun fact: “Wachusett” is the Algonquin Indian word for “The Great Hill”. As you know, winter is not over yet, and thanks to the copious amounts of snow we got here in the Boston area this year, there is still plenty of time to spend at the slopes. 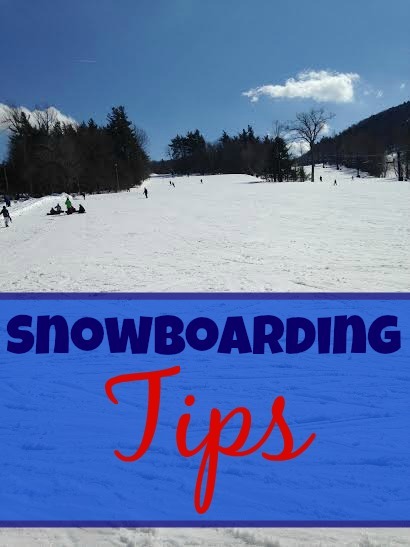 In case you want to try your hand at snowboarding, I decided I’d go over some tips for snowboarding with you today. You can never be too “safe” when it comes to snowboarding and I definitely learned a lot while I was out there on the bunny slope last week. 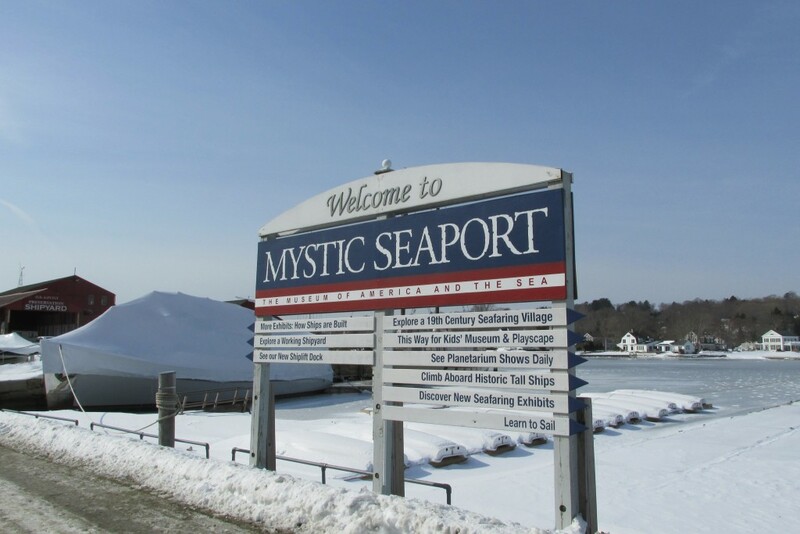 When you think of Mystic, CT, what comes to mind? Boating? Fishing? Summer? Sure, Mystic is a fantastic place for your summer vacation, but did you know that a visit to Mystic during the winter can be just as much fun? I know, you’re probably thinking – “Don’t a lot of things shut down for the winter?” Well, the answer is yes and no. There are a few shops and restaurants that only open for the summer in Mystic, but for the most part, everything stays open year round. 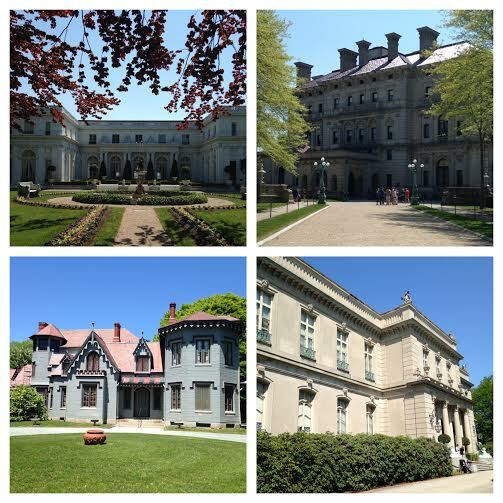 Not only is it a great place for a romantic getaway, Mystic has some really fun, family friendly attractions as well. 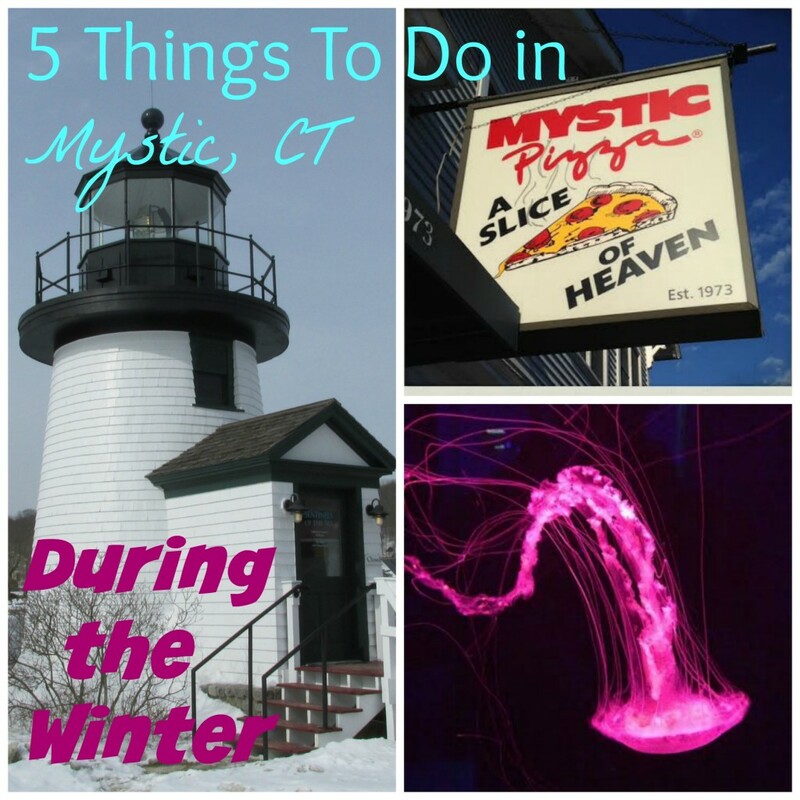 My husband, Chris, and I spent this past weekend in Mystic and today I am going to share five things that you can do in Mystic during the winter. The Mystic Seaport is known as the Museum of America and the Sea. 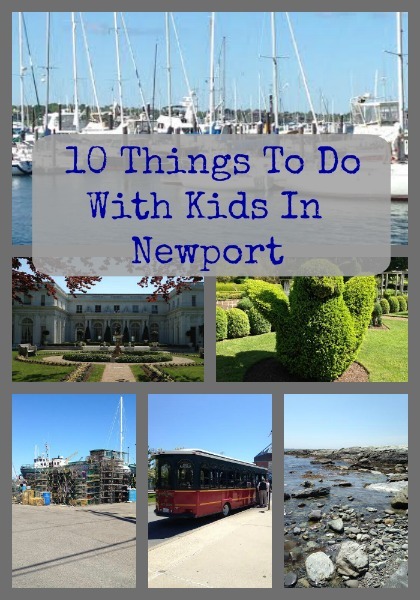 It includes three major components for people who visit: a re-created 19th -century coastal village with historic ships, a working preservation shipyard, and formal exhibit galleries. The Mystic Seaport is located across 19 acres of land along Connecticut’s Mystic River. There is definitely something for everyone at the Mystic Seaport. 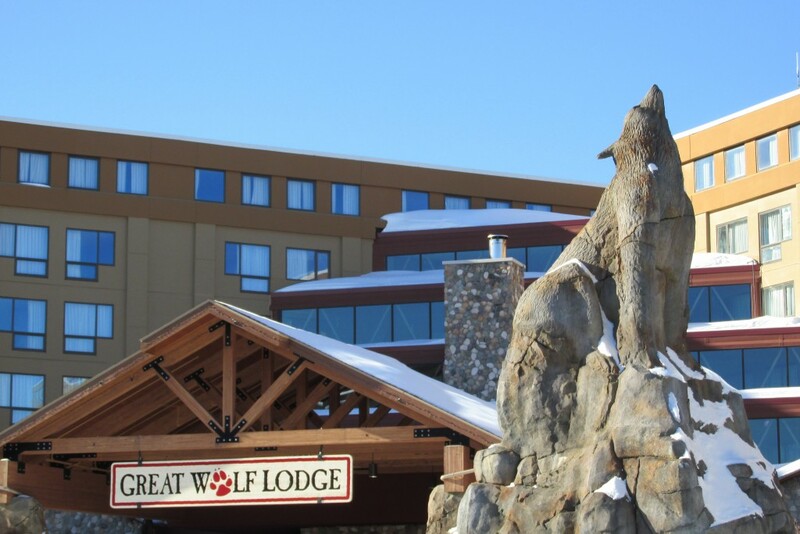 In case you live in the area and hadn’t heard, The Great Wolf Lodge opened here in New England last spring. Ever since it opened, my kids have been asking and asking to go. You see, they play an unusually high amount of television ads for the Great Wolf Lodge, so if you watch tv at all, like us, you’ve seen hundreds of commercials for it. I’m not exaggerating. Anyhow, last weekend we finally got a chance to check it out. The boys were beside themselves when they heard we were going. If you’re looking for a getaway on Cape Cod, Hyannis is the place to go. Located mid-cape, Hyannis is one of the seven villages that make up the town of Barnstable. I have been vacationing on Cape Cod all my life, and to me, Hyannis is the hub of the cape. There are so many shops, restaurants and tourist attractions – all located relatively close together, which is why it’s the perfect destination for your Cape Cod vacation. So now that you’ve decided on Hyannis for your next trip, where do you stay? That’s easy. The Cape Codder Resort & Spa! The Cape Codder is conveniently located right in the heart of all the action, so you’ll be able to get to everything in the area quickly and easily. 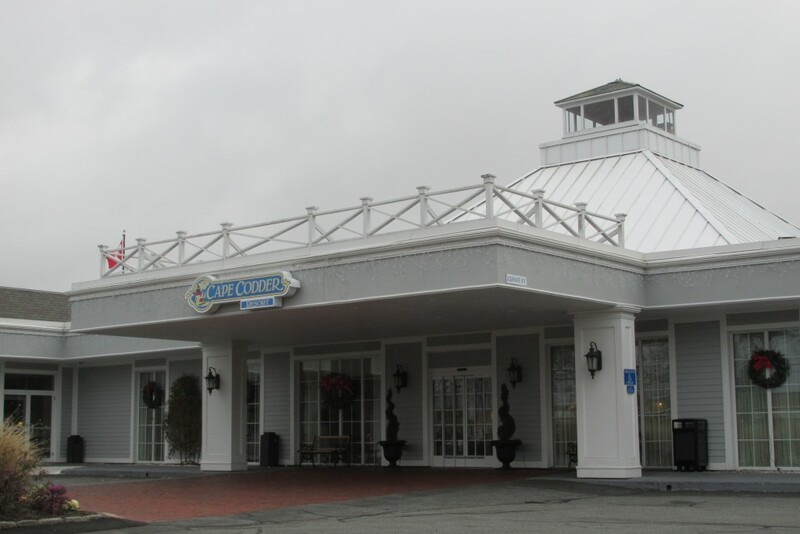 My family stayed at the The Cape Codder Resort & Spa this past weekend and I am going to tell you all about it so that you will know why it’s the place to stay when you plan your next Cape Cod get away! The Beach Plum Spa and WaterFire Tavern at The John Carver Inn in Plymouth are a Winning Combo! Recently I was invited to join three other area bloggers at the John Carver Inn in Plymouth, MA for a day of pampering at the Beach Plum Spa and some great food at the WaterFire Tavern. I live in the area, so I have actually stayed at John Carver Inn before, but I had never had the chance to try out the spa or eat at the WaterFire Tavern, so I was excited to get the chance to experience both of those things for the first time. The great thing about the John Carver Inn is that it’s a quaint, charming hotel that’s within walking distance of the Plymouth waterfront, shopping and attractions of historic Plymouth like the Plymouth Rock and Mayflower. When we arrived at the John Carver, we got a tour of some of the rooms as well as the opportunity to go check out the Pilgrim Cove Indoor Theme Pool. I have actually been to the pool with my kids before and it was a big hit with them. They ask to go back all the time. After our tour, it was time to head to the Beach Plum Spa, located on the second floor of the hotel. When I was recently invited to go on a winery tour on Long Island, NY, I don’t think I could have said yes fast enough. First off, I had never been to Long Island, so I was thrilled to be able to experience a whole new place. Secondly, I had never toured a winery before, so it sounded like it would be an unforgettable experience and I was excited to be a part of it. I met up with several other bloggers in New London, CT, which is where our day started. Because Long Island is well, an island, we boarded the Cross Sound Ferry in New London to take us on the 16 mile journey across Long Island Sound to Orient Point, NY. For this trip, we took the JessicaW, which is a passenger only, high-speed ferry. Cross Sound Ferry operates both passenger only and auto ferries all year round. The ferry ride took about 40-45 minutes from departure to arrival on Long Island. Once we arrived, we met up with the lovely Jo-Ann of Vintage Tours with Jo-Ann Perry. Jo-Ann provides guided winery tours of the North Fork of Long Island’s finest wineries. Our first stop of the day was The Candyman, which is located at 22350 Main Road in Orient, NY. The Candyman is a small candy shop that specializes in homemade chocolates and candy. As soon as I walked in the door, the smell of chocolate filled the air. It smelled like heaven on earth.